Lori's Purple Giraffes: Is That a Snowman in Your Pocket? How cute is this? 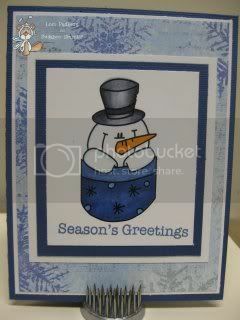 This adorable little Snowman Pocket is just so sweet! You can pick him up at the store and make so many cute little Christmas cards with him. Easy Peasy. Since it's Thursday,you can head over to the Catch the Bug Blog and see what the rest of the Bugaboo DT wants to show you today on this Oldie but Goodie day.